Special design vacuum rf handle for face, the suction is good for all skin types, also for sensitive skin, for those who want to make the V shape face. The vacuum will pull and sucking the skin and the RF warm up to the target skin, help to active skin cells, promote the collegen. After the facial vacuum rf function, the skin will get a little red and warm, the face skin getting tightening after the collagen reorganize, wrinkles, fine lines will getting lightening too. The face will be V face after you pull and sucking the skin for lifting. Cavitation + RF (body). These two functions are used in combination. By first destroying fat and promoting collagen regeneration, cavitation can increase the performance of RF , results in body slimming It use on abdomen, thighs, arms. Vacuum&Sextupolar RF combine mechanism of 3D RF energy and vacuum therapy that work with the body's natural regeneration,for cellulite removal, body contouring and skin tightening of the skin. It use on belly, arm, etc..
Face vacuum RF radio frequency can fast creates warm on skin dermis to get enough collagen to make skin rejuvenation with suction help face lifting, wrinkle removal. It use on face, arm. The permeability of the cell membrane is improved instantly under the action of electroporation, result in promoting the penetration of cosmetics. At the same time, the EMS with 4KHz frequency continuously work on the skin, make the skin with elastic and help improve the fine lines, make the skin with elastic and help improve the fine lines, make skin smooth and firm. Mainly introduce how to do the facail treatment of the machine MS-45101, then what are the steps for facial treatment, also what we should pay attention to. Due to the strong ultraviolet rays and the dust in the air, our skin is prone to aging, acne, spots, wrinkles and other problems. So we need to use Electroporation for skin care, it's good for wrinkle removal and anti-aging. 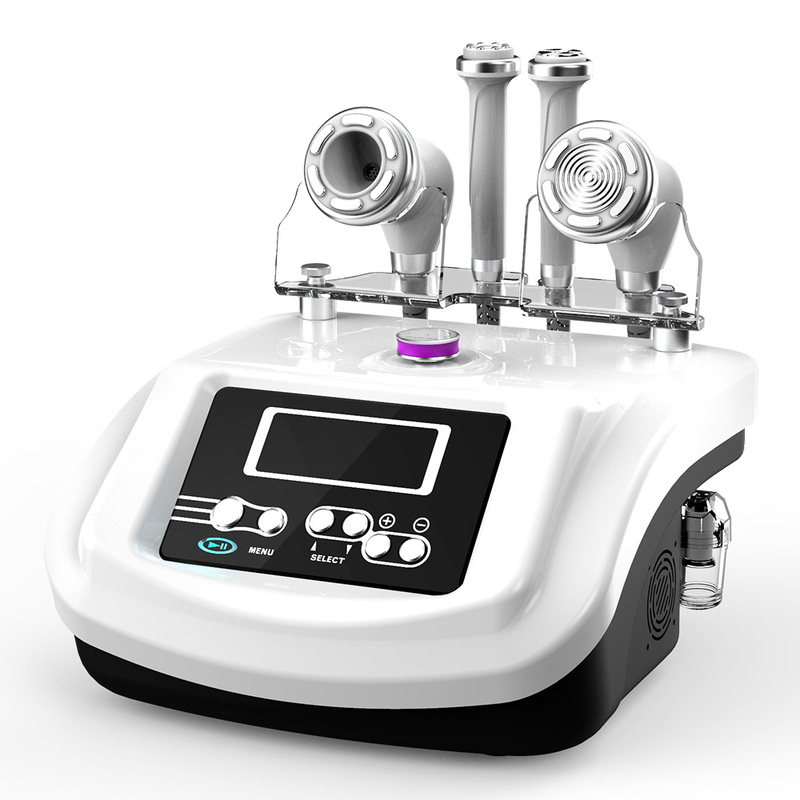 What is the best cavitation machine to buy? How does the ultrasonic cavitation work? This is something you will want to know about the cavitation slimming machine, ultrasonic cavitation liposuction is non-surgical for weight loss, effective and without pain, good for homeuse, spa, salon and trainning school. This is a new beauty instrument on the market, it combines a variety of weight loss beauty technology.Including 40 KHZ Ultrasound Cavitation probe, Suction RF Body Slimming probe, Suction RF Skin lifting the probe and EMS&EL Electroporation Skin lifting the probe, and is very suitable for beauty salon do salon nursing.